If you want to capture your desktop regularly for accounting or other purposes, here is how I implemented this on my Kubuntu desktop machine. This way a snapshot is made every minute. 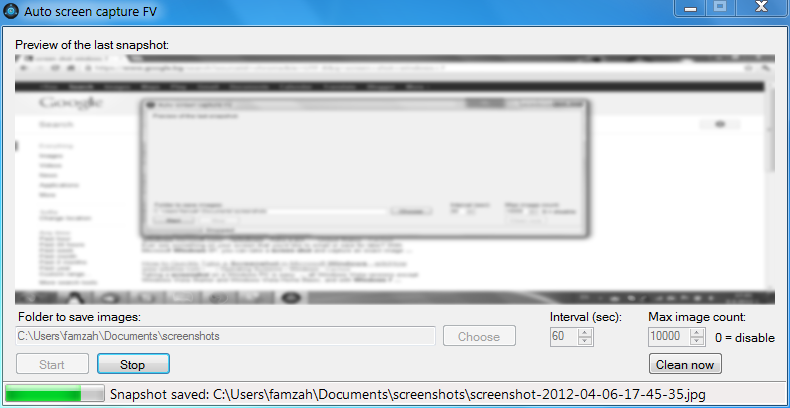 Every five minutes a check is made if the snapshot utility works properly. In the case of an error, the output from the “test-snapshot.sh” script is sent via email by crontab. This is a standard feature of crontab. Update: The snapshots are now automatically split into sub-directories according to the current date “%Y-%m-%d/”. Tested with Kubuntu Karmic and Lucid. An exercise left for the reader 🙂 – a crontab script to clean up very old directories with screenshots. Hint: A simple “find … -type d -mtime … | xargs rm …” should do the trick. Categories: Linux | Tags: desktop, gnome, kde, kubuntu, Linux, record, screenshot, scrot, ubuntu, xorg | Permalink.